Gdańsk, Gdynia and Sopot are three cities on the coast of Poland. They are interconnected and together create a metropolitan area called TriCity (Trójmiasto). Each of them is different in its own way and none of them should be missed when visiting Polish coast. 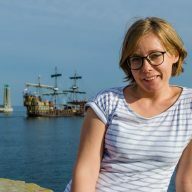 I spent 3 days exploring TriCity and the nearby area. I saw some amazing places, ate delicious food and had a really good time. Here are my favourite things to do in TriCity. 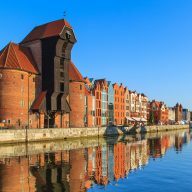 Visiting Gdańsk Old Town is a must for every visitor. Take a whole day to explore this amazing area and don’t rush! 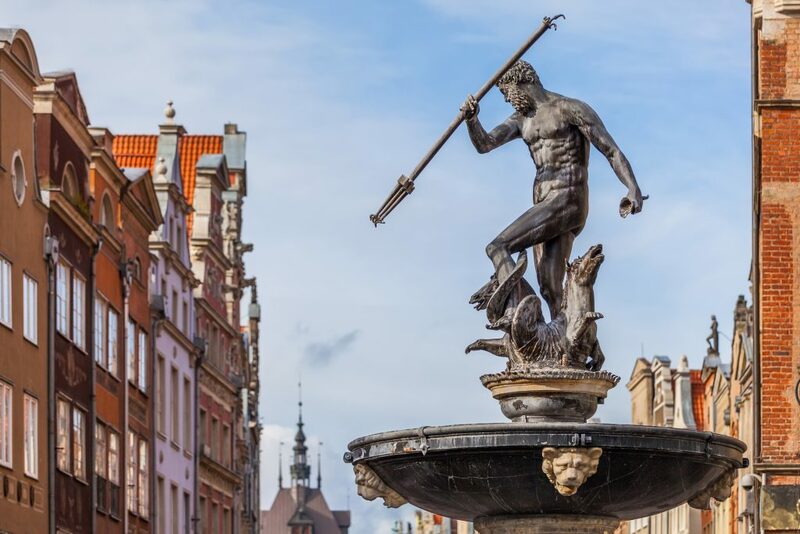 You really need to soak it all in: the architecture, street performers, food and cafes – all these things create a special ambience of Gdańsk Old Town. 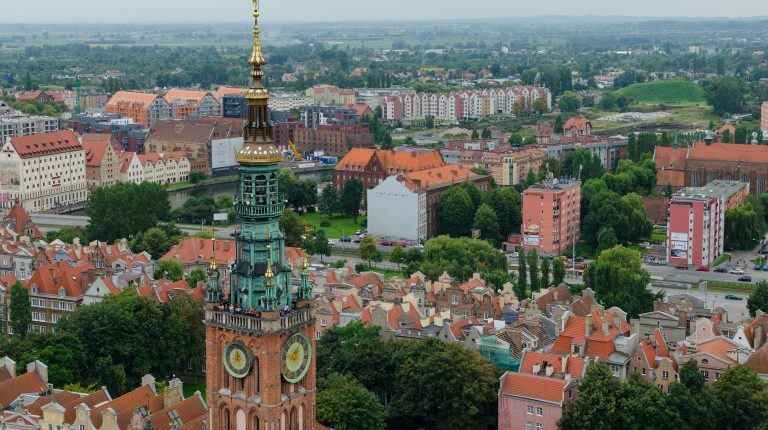 Among all of the things to do in TriCity this was one of my favourites – climbing the Mariacka Tower. The views from the top were amazing and it was a great exercise, too! 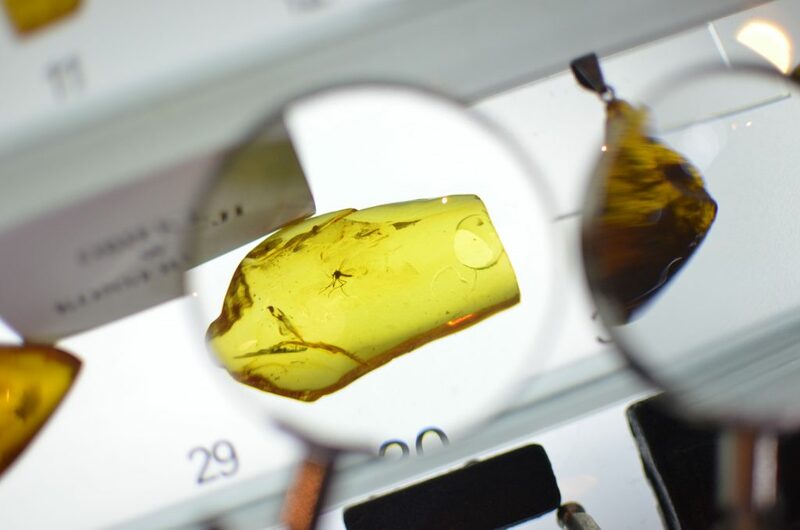 Amber is gold of the Baltic and it’s extremely popular in Poland. 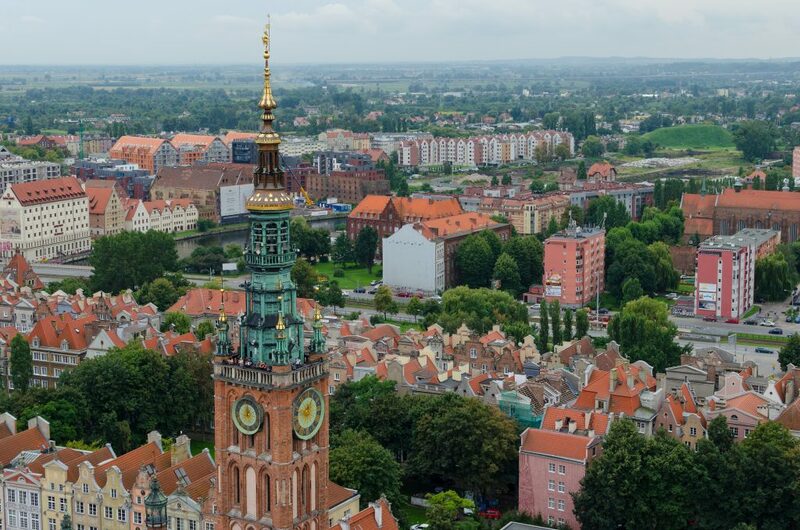 You will find plenty of shops in Gdańsk selling beautiful amber jewellery, decorative objects and even furniture. 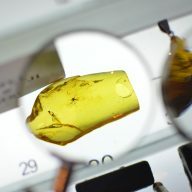 Don’t miss the Amber Museum, where you can find out more about this precious gemstone, see pre-historic insects trapped in some of them, and admire the most expensive items made out of amber by Polish and foreign artists. 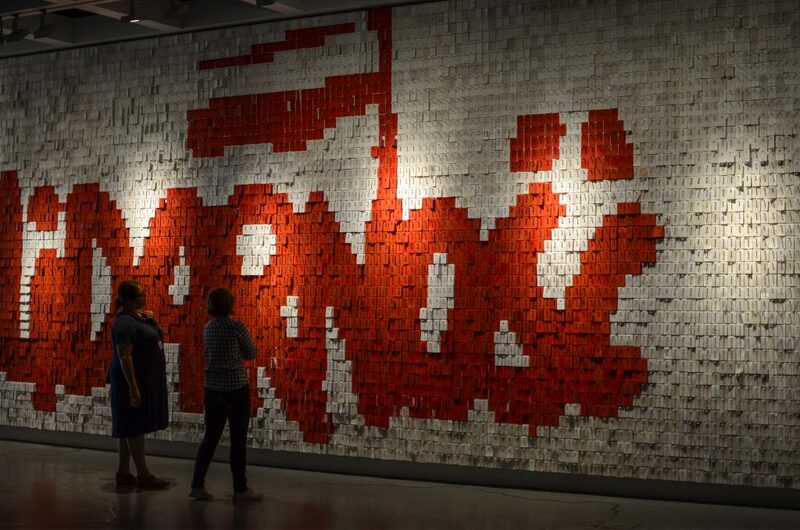 Find out more about the people who fought for the country’s freedom during the communist regime, get to know the stories of those, who created the Polish political scene after the war and check why Solidarność has such a special place in Polish people’s hearts. 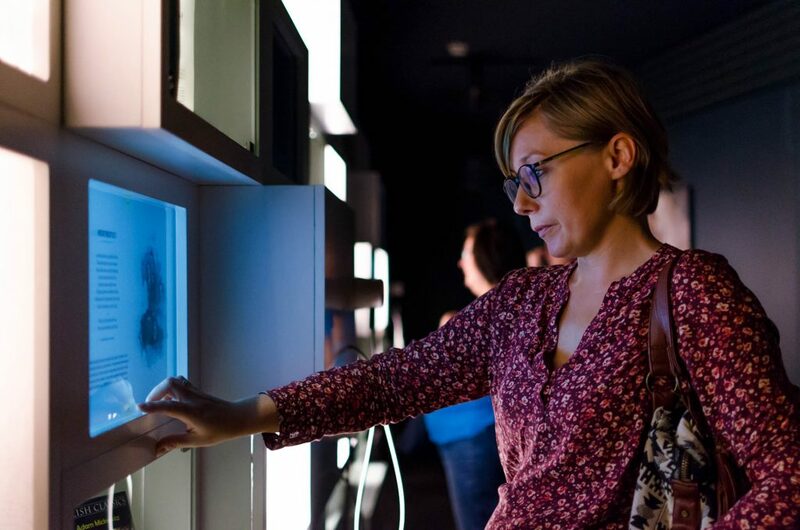 This interactive museum will spark your interest in history and you will never forget your visit here. Brovarnia Gdańsk is one of only 4 real micro-brweries in Gdańsk. Their beer is produced at the back of the bar and flows straight from the brewery to the taps. As a beer lover, I must admit that it was one of the best beers I have ever tried. Monciak is the central point of Sopot and the most famous street on the Polish coast. Here you can shop for clothes, souvenirs and hand made goods. SPATiF is a legendary place. It is where famous and lesser known artists meet. 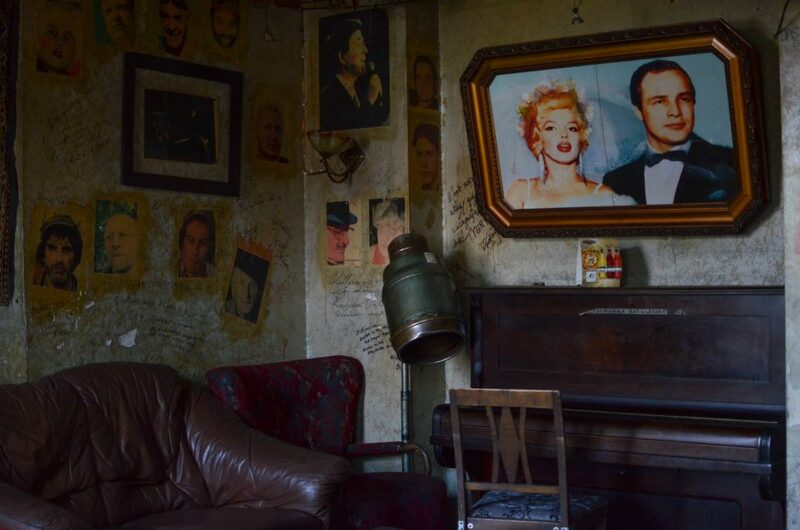 During the day it is a quiet bar with quirky decor, which turns into a wild party venue at night. 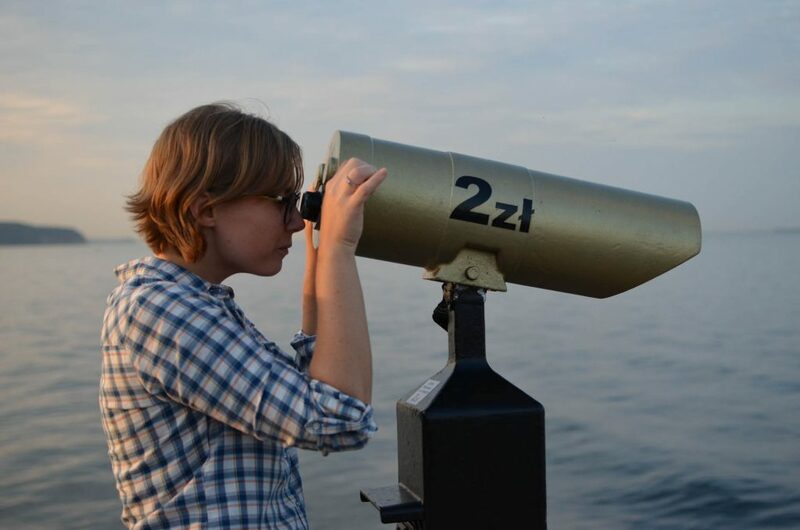 Visiting the beach in Sopot is one of the main things to do in TriCity. 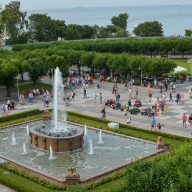 During the summer it is very crowded, but outside of the season it’s mostly quiet and it’s a perfect place for a romantic walk. 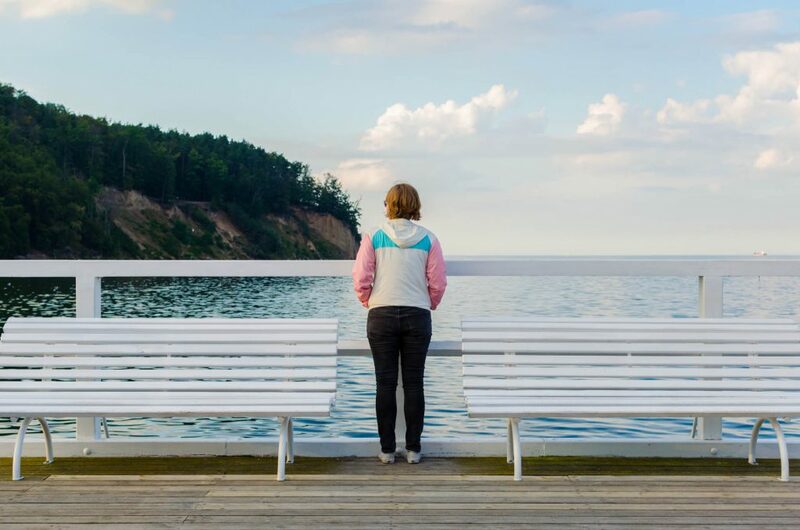 The pier in Sopot is the longest wooden pier in Europe. Evenings here are especially pretty in autumn, spring and summer. Despite many people visiting this famous place, it is still a romantic walkway. This place amazed me with its laid back atmosphere and clean beach. I spent an entire afternoon just walking around, enjoying the sunshine and the sound of seagulls and waves. It is one of those places you fall in love with instantly. The Stone Mountain is just right beside Kościuszko Square. You can easily get there on foot, but you can also reach the top by a modern cable car. It is a great view point, especially during sunny days. 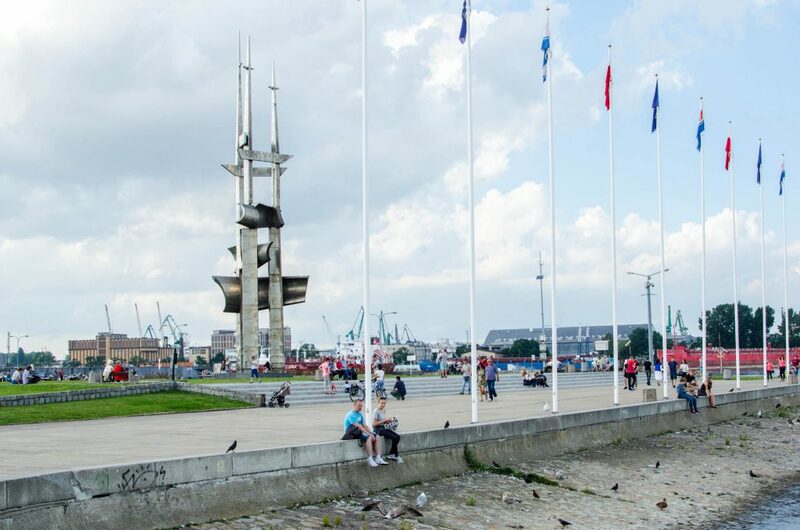 Gdynia, similar to Gdańsk and Sopot, divides in a couple of parts. One of them is Gdynia Orłowo – a very small section of the entire city, inhabited mostly by those, who can afford expensive houses. The beach and the pier in Gdynia Orłowo are lovely. There are fishing boats parked at the shore and a few little fish restaurants line the narrow beach. It’s a great place for a romantic evening. If you ask locals what to do in TriCity, they will probably not mention this place. Not many of them know that it exists as it has been opened only recently. 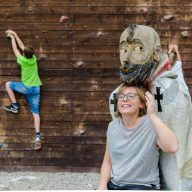 This interactive and fun museum shows history of Polish emigrants, starting as early as 16th century. There are plenty of exhibitions here and it will take you a good couple of hours to see everything. How to get to TriCity? The airport in Gdańsk operates international and domestic flights. It’s not far from the city centre. You can take a bus from here to Gdańsk Główny, or a taxi (cost around 70 Złotych). Gdańsk and Gdynia are well connected with other major cities in Poland, like Kraków, Wrocław and Warszawa. You can check your tickets on the official Polish railway’s website. Driving to TriCity is also very easy. Poland has recently invested a lot of money in the road system and the drive is pleasant. Just remember that Polish drivers can be aggressive on the roads and drink driving here is not uncommon. TriCity has a very good public transport system. However, you need to remember that while Gdańsk has trams, Gdynia only has busses. The best way to move around TriCity is using SKM – a special train that connects all three cities. Tickets are cheap and easy to buy at one of the ticket machines, or at cashier desks, located at the major stations. SKM stops at all major attractions. Where to stay in TriCity? Mercure Hotel – Hotel Mercure Gdańsk Stare Miasto is located only 400 m from the beautiful Old Town of Gdańsk. This non-smoking hotel features air-conditioned and elegant rooms with free internet, a minibar and a flat-screen TV. Scandic Gdańsk – Scandic Gdansk is located close to the Old Town of Gdansk, just 800 m from the famous Crane over Motlawa River. It offers soundproofed rooms with bathrooms, TVs and free WiFi. 3City Hotel – 3City Hostel is located a 2-minute walk from the Gdańsk Old Town and offers spacious rooms and capsules with free Wi-Fi. The hostel features a 24-hour front desk service. Quadrille Conference and Spa – Offering an indoor pool and a restaurant, Quadrille Conference & SPA offers rooms and apartments with free WiFi access. 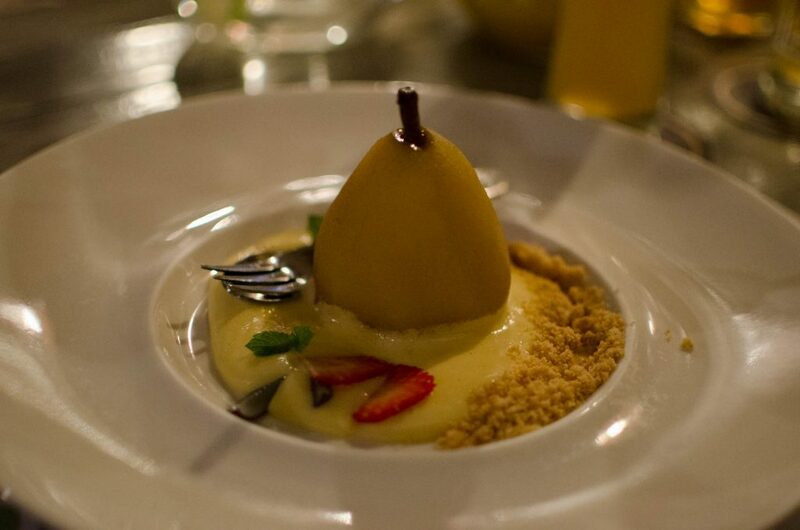 Housed in a historic 18th century building in Gdynia, the Quadrille is set within a park. The property offers free private and secured parking. Pokoje Gościnne Relaks – Pokoje Gościnne Relaks offers pet-friendly accommodation in Gdynia. Free WiFi is provided and free private parking is available on site. Each room is equipped with a private bathroom. A flat-screen TV with cable channels is featured. Blues Rooms – Blues Rooms is located in central Gdynia, 550 m from the lively Kościuszki Square and 1,1 km from the municipal beach on Gdańsk Bay. Free WiFi access is available. Rooms and dormitories there are decorated in white and wood, with posters of music and cultural icons. They come with a refrigerator and an electric kettle. Extras include bed linen. 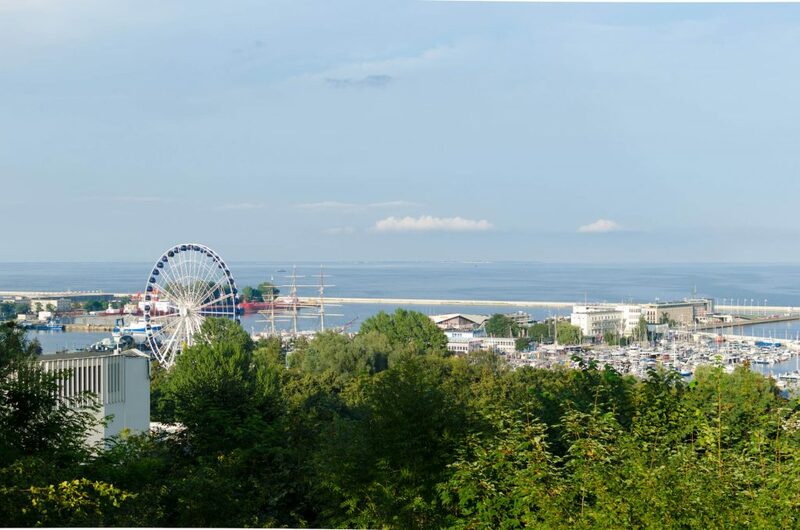 Sheraton Sopot Hotel – This property is 1 minute walk from the beach. 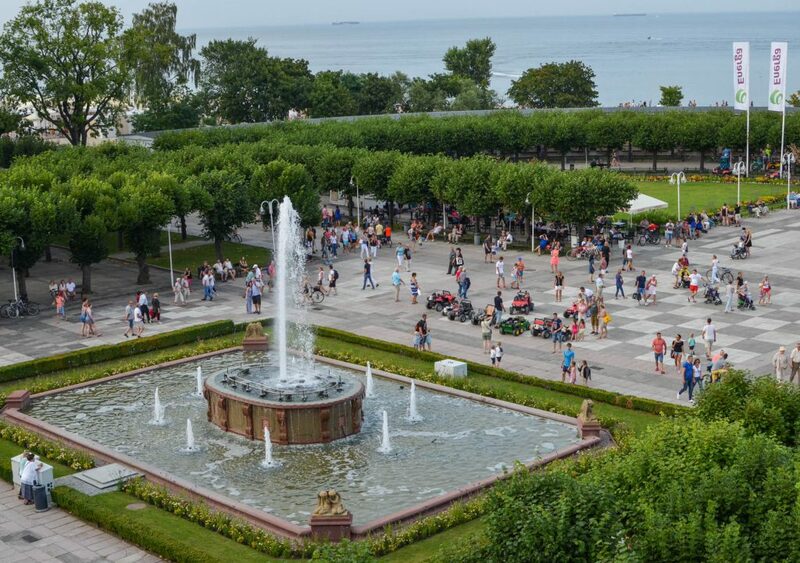 Situated directly by the beach and Sopot Pier, Sheraton Sopot offers quiet rooms with views of the sea or the park. The hotel has a spa with an indoor swimming pool. Hostel George – This property is 8 minutes walk from the beach. Hostel George is situated 700 m from the popular Monte Cassino Street, no the 3rd floor of a Secession-style city house. It offers modern, bright rooms with free Wi-Fi and wonderful views of the area. Aviator – This property is 3 minutes walk from the beach. Aviator Apartments Sopot is a self-catering accommodation located in Sopot, just 200 m from the sandy beach. Free WiFi access is available. Where to eat in TriCity? 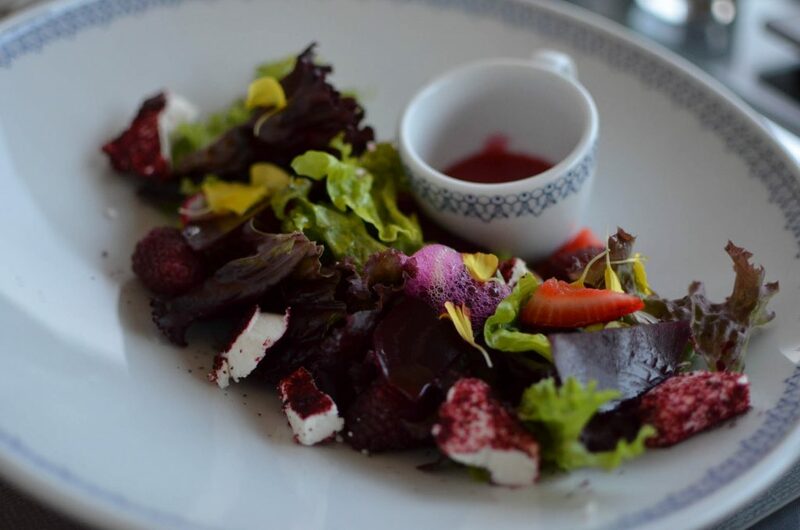 Piwna 47 – Piwna 47 is both the name of the restaurant and its exact address which is the destination for passionates ofgood taste and carefully designed interior. Brovarnia Gdańsk – It serves delicious Polish and international cuisine dishes, including traditional Gdańsk specialties. Among them are traditional Gdańsk duck or zander with blue cheese and nuts. There is something in the menu for everyone, from beer snacks to large courses. 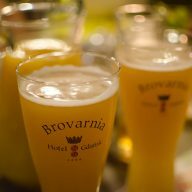 The restaurant is also the only microbrewery in Gdańsk where three different kinds of beers are brewed. 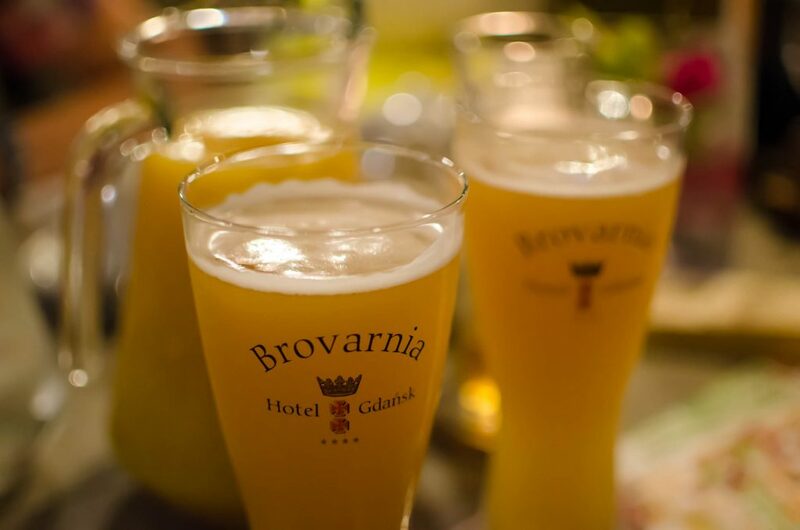 Brovarnia Lager, Dark and Wheat are all prepared according to traditional recipes, using latest brewing technologies. 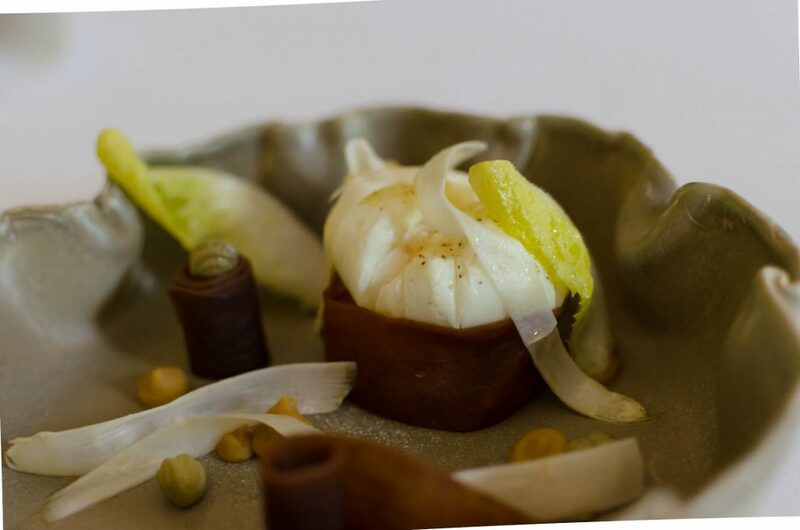 Biały Królik (White Rabbit) – White Rabbit is a unique place in Pomorskie as it broadens the horizons of flavours. The extraordinary decor introduces the magical world of fairy tales and refers to the nature of restaurant’s cuisine. 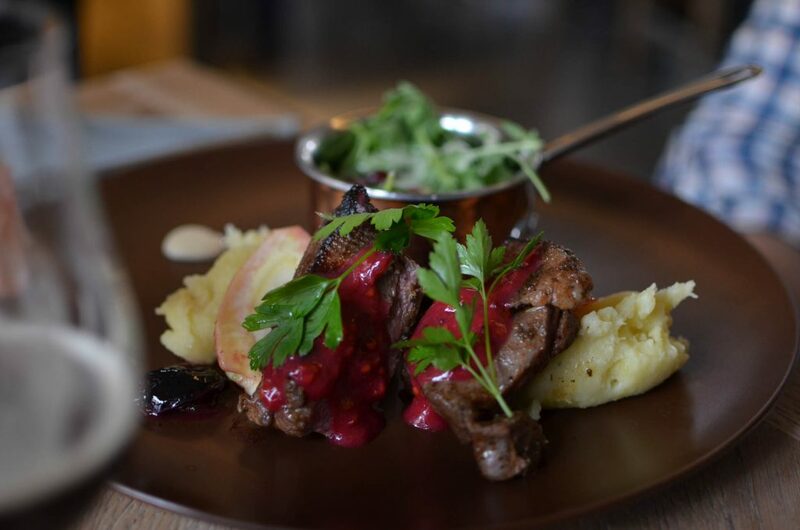 Polskie Smaki – is the only restaurant in Sopot that offers real Polish-Kashubian cuisine with unique recipes made with regional products and an un-beatable view over the Molo.